Sites should seek to maximise efficiency while minimising any waste or pollution as a result of construction work. 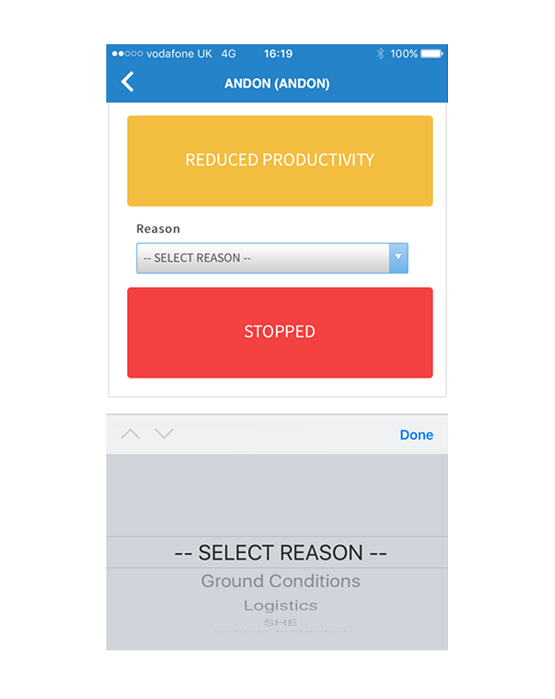 The site team began using a new internal workplace app called Andon, which tracks and monitors productivity and location of gangs on site in real time. Using this app allows the office staff to analyse and identify issues immediately. Other benefits of the app include mitigating fatigue, identifying if machines are left running without reason, and controlling delivery frequency by monitoring outputs and demands. The app can be combined with a safety app so any incident can be reported via the relevant channels immediately. Monitor report. Costain Galliford Try JV. Derbyshire. April 2018.